When I think of a package holiday, I think of Butlins, Thomsons (or whatever it’s called now) and a pool on the coast of Spain with screaming kids. All reasons why I don’t necessarily think a package holiday is apt for a former backpacker. When I was a child, my family and I would go on a package holiday every year. Without sounding completely ungrateful and brattish, I don’t think I ever really liked them. My parents probably spent a fortune to take my two sisters and myself away each summer holiday, and it was always too hot for me, I hated sharing a room with my two sisters and I couldn’t stand putting on sun cream every day. I wasn’t supposed to be the package holiday type (and it turns out I still aren’t) but when my flights to Cuba were cancelled last October because of the devastating Hurricane Irma, I wanted to find a last minute trip that required zero effort. I had just bought a house and was in the midst of moving in, so planning a holiday around this time wasn’t ideal. My boyfriend wanted a relaxing holiday due to all the house stress, but I knew that sitting around a pool for a week would leave me sunburnt and bored. 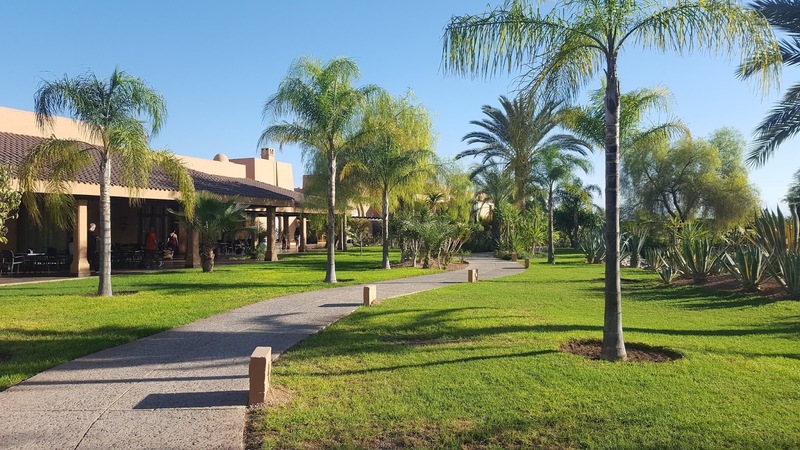 Therefore, we comprised and opted for a package holiday typical getaway, but in Marrakech as Morocco had been a country I had wanted to go for years. 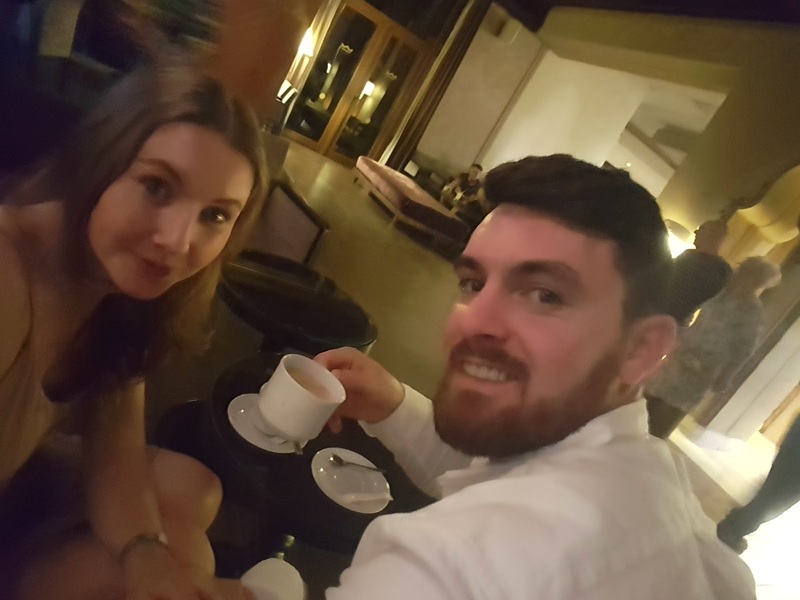 I left the planning to my boyfriend, and in the end we picked a 4* resort, in the heart of Marrakech with a huge pool, all inclusive, flights, all for just over £500 each for the week. Crazy cheap prices in my eyes, considering flights to Marrakech are over £250 alone (but it really was the all-inclusive drinks that swayed it). I considered how far the resort was from Marrakech and it all seemed close enough, and the hotel had their own bus service to takes guests straight from the front door to the outskirts of the Medina. Perfect! A winning combo of a relaxing lazy holiday by the pool with a drink in hand, teamed with a backpacker exploration of Marrakesh's heart. 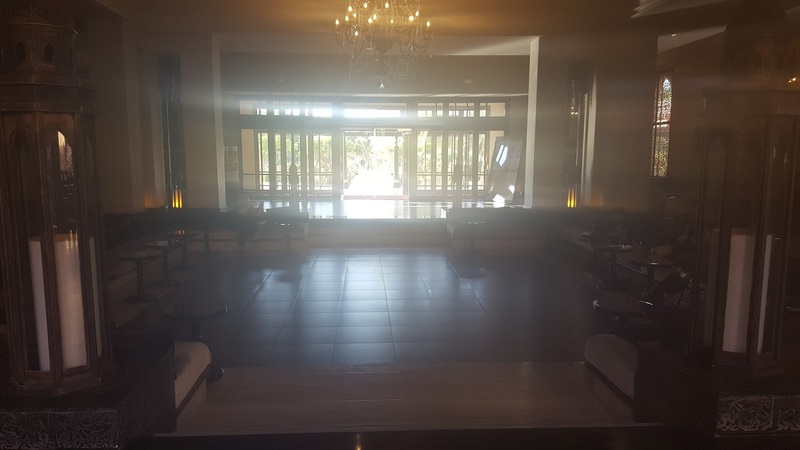 There were aspects that were great, huge bedroom with all the amenities, enough sunbeds to relax on and of course all-inclusive food and drink. But the majority of negatives outweighed the positives. Firstly, the food. I thought I knew Moroccan food, but when all you’ve eaten for a week is ‘resort’ food then I’m not really sure what Moroccan food is meant to be. This type of food was good, but it was a toned down version of what I assume the locals eat. Moroccan food with a heavy British influence, after all there was even a pizza ‘bar’ in the hotel’s restaurant. Plus, all of the restaurants were buffet style. I wanted a nice sit down meal where I didn’t have to search high and low for a knife and fork and wave hectically at a waiter to take away three empty plates on my table. But that really wasn’t the case. Firstly, Marrakech didn’t really do it for me as much as I hoped after many years of wanting to visit (find out why here), but overall the whole ‘resort’ life didn’t really do it for me either. Secondly, the drink. All-inclusive drink but did I feel drunk at any point on my trip? No. It all must have been watered down or extremely weak. Thirdly, the entertainment. I assumed some kind of belly-dancing, Moroccan music but we were left with a severe lack of entertainment every night. Fourthly, kids. I’m not a huge fan of children so I don’t need to fight my way to the pool against a chubby four year old. I may seem snobbish writing all of this, but overall the package dream that the website sold me, just didn’t happen. I should have stuck with my backpacker roots and avoided all other British package holiday tourists, and found a ? in the heart of Marrakech. I bet the food would have been 10 times better, I bet I wouldn’t have to listen to the pool’s music of Pitbull every day, and overall, I bet I would have found a bar where the wine got me a bit drunk.